Following on from our previous booklet, Building adaptive resilience, this booklet takes the four key critical factors influencing an organisation's adaptive resilience, and provides a step-by-step guide to building resilience. 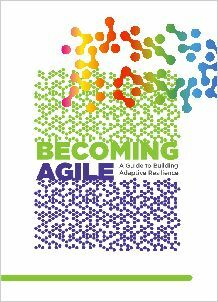 The process of building adaptive resilience needs the support of the organisation’s leaders, and a willingness to make genuine changes. It is an ongoing process that will take time. It starts with clarifying an organisation's current resilience and then moves through a series of activities that foster greater resilience.